This week has seen relatively few changes to the server because I had taken some time working on a different project. Nevertheless we have added a few new additions to the server, including a new Tablist and a staff build server. After last week's anti-xray fixes it became quite evident that the Anti-Xray plugin's side effect of removing players from the tablist was becoming unbearable. As a result we have added a new tablist plugin that not only solves this problem, but also shows players in all current and future servers in our network. It is also animated and looks a lot cooler! 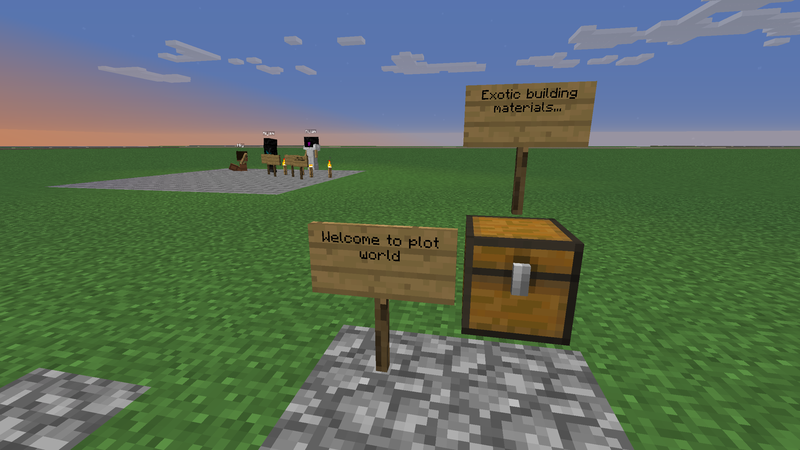 We have added a new creative plots server, currently for staff members only. This will be the new place for our staff to work on maps. 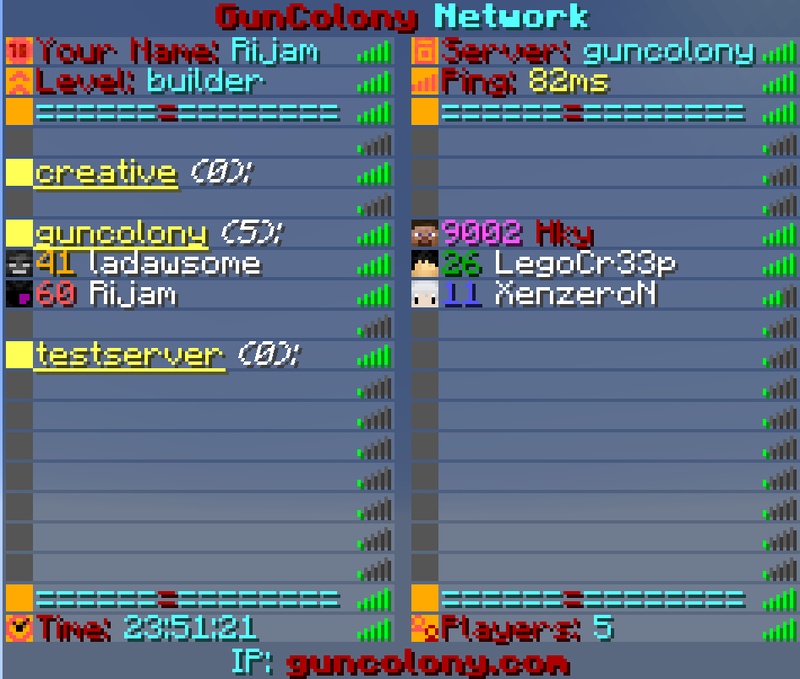 Since this server is powered by plots, we can safely give every staff member access to World Edit, which should speed up the building process and make it much more enjoyable to build on GunColony. This will also be the place for staff members to work collectively on any large build projects that arise (hint: there is one!). There is currently no cross-server chat, but that will be coming soon. could the map possibly be called Acumen?